When it comes to playing blackjack online you don’t need a degree or years of experience. The basics you need to learn to play blackjack online can be mastered by anyone. However, if you want to increase the chances of success you’ll need a much deeper understanding of the ins and outs of the game. This is something that will come with practise, so for now we’ll help you with the blackjack rules and share a few hints and tips. Whether you’re playing live dealer blackjack or the standard game online, it’s really easy to play. The aim is to get as close as possible to 21, without going over. 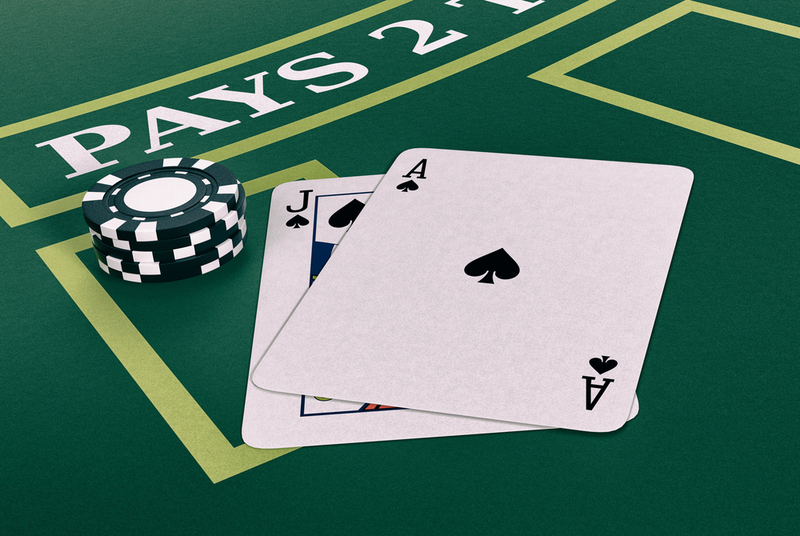 Players play against the dealer, with the goal to have a higher hand, and not to go bust (score more than 21). Now you appreciate how simple the basic principle is we’ll look at the blackjack rules. The best way for you to understand the rules of blackjack is for us to run through a typical game. Players participating are each dealt two cards, face up. The dealer also deals two cards for themselves, one of which is face up and one face down. Players then take it in turns to decide whether to hit, stand, split or double down. A hit is asking the dealer for another card, and to stand means the dealer can move on to the next player because a player doesn’t want another card. To split means turning a hand into two separate hands. Double down is much that same as hitting, but only one card is received and there is no option to receive another. One other option is to surrender. This involves giving up half the bet and simply dropping out of the hand. These are the very basic rules of the game, but there are a few more you need to be aware of. If a dealer has 17 or more in their hand they have to stand. This rule is enforced because it standardises the practise of dealers and gives players a small table advantage. There are a few online casinos that allow for a little bending of this rule however. For example, if an ace is included it’s known as a soft ace and the dealer is allowed to count it as a 1 and take another card. Insurance bets are something else that can be offered at a number of online casinos. These are allowed if the dealer holds an ace in their hand and involves a player staking half their original bet, betting the dealer will have a blackjack. The first and most essential tip for anyone looking to play standard or live dealer blackjack is to read and understand the rules of the casino you’ve chosen. You need to be certain what you can and can’t do before sitting at a table. Individual casinos will have their own set of rules so take the time to read what these are before starting to play. The basics will be much the same but there may be small differences that can affect how you play. Learning the value of the cards is also another important tip for complete beginners. They are pretty obvious on the whole, but a complete novice could be tripped up by a few of them. The value of the ace is the most confusing. It can be worth either 11 or 1. Which value you choose will depend on the other cards in your hand. Blackjack is a card game that’s more than just a game of chance. Yes, the cards being dealt can’t be predicted, but there are blackjack strategies that can be used to improve the chances of winning. Before adopting any kind of blackjack strategy, it’s important to understand the difference between a hard and a soft hand. A hard hand has no aces in it, but can also be a hand with an ace in it if the ace is being counted as 1. A hard hand has no wiggle room and will be played differently from a soft hand. A soft hand is the opposite of a hard hand, in that it has an ace in it which can be counted as a 1 or an 11.